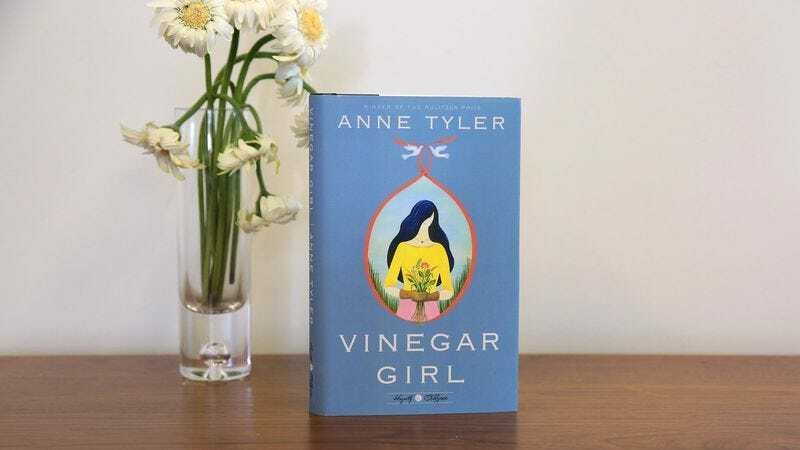 Anne Tyler’s Vinegar Girl is a retelling of Shakespeare’s The Taming Of The Shrew, the latest in the Hogarth Shakespeare series in which contemporary novelists adapt the Bard’s plays for a 21st century audience. So it’s likely you already know the basic plot of the book—whether from reading the original play or seeing the musical Kiss Me Kate or watching the movie 10 Things I Hate About You. But a familiarity with the source material, even if gained in other modern adaptations, doesn’t dismiss the pleasure of reading this one. Kate Battista lives in Baltimore with her scientist father and 15-year-old sister. She assists at a nursery school and helps her father run their household and has a mild crush on a co-worker but feels vaguely dissatisfied with her life, chafing at the social conventions she’s bound by. Enter Pyotr Cherbakov, her father’s brilliant but down-to-earth lab assistant, crucial to her father’s work but whose visa is about to expire. How can he stay in the country and help bring their project to completion? By marrying Kate, of course. The details of how this marriage comes about is one of the pleasures of the book. From their first meeting it’s obvious that Pyotr appreciates Kate’s unconventional beauty (such as “her hair, which was blue-black and billowy and extended below her waist”) and flat, forthright manners (Kate refers to her spectacular hair as “a bunch of dead cells”). But it takes Kate some time to appreciate Pyotr’s unconventional way of speaking (“There was a certain liberation in talking to a man who didn’t have a full grasp of English.”) and solid masculinity (although the fact that he smells “like fresh hay” is immediately appealing). Those more familiar with the play will enjoy matching up Tyler’s characters with their original counterparts, but may feel disappointed at the simplicity of the adaptation. There’s no Christopher Sly, and fewer suitors, disguises, and hijinks—but there’s not a lot of taming either. In some ways this is a blessing (Katherina’s taming in the play is not a very palatable process) but in other ways it feels like a dodge. One of the big questions of this adaptation is how it will end—with a marriage, yes, but what about Kate’s attitude? The big speech Katherina delivers in the play reads (on the page) as one of complete submission. But the speech Kate delivers in the book feels somewhat unearned; the issues she addresses aren’t very present in the plot that precedes them. Still, Tyler’s writing is lively and engaging. The title comes from a conversation between Pyotr and Kate where they trade proverbs from their different countries. He says of Kate’s suspiciously nice sister Bunny, “Beware against the sweet person, for sugar has no nutrition.” Kate counters with, “You can catch more flies with honey than with vinegar.” But Pyotr has the last say: “But why you would want to catch flies, hah? Answer me that, vinegar girl.” But Kate has no answer—and neither does the reader. We want Kate to find happiness as a vinegar girl. 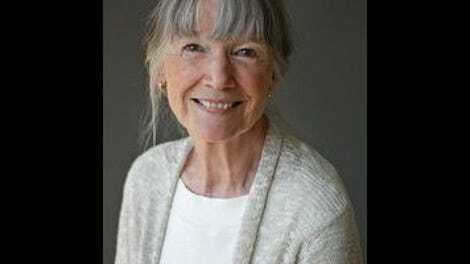 It is unfortunate that Tyler’s imagination, while hardly shrewish, feels as if it has been tamed to fit the conventions of a plot that isn’t hers but one inherited from a 16th century playwright. Those who want a more radical take on Shakespeare’s problematic play will have to look elsewhere. But those who want a good book to read on the beach this summer will find Vinegar Girl a pleasant and sometimes piquant read.